Bravo Named a 2019 California Distinguished School! Congratulations to Bravo Students, Faculty, Staff, Parents and Partners! For more video by and about Bravo students, please visit the Bravo Video Vault! And to read Bravo news by Bravo students, please visit the Vital Signs Online Student Newspaper! 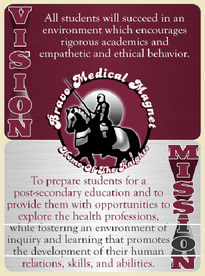 Welcome to Bravo Medical Magnet High School!